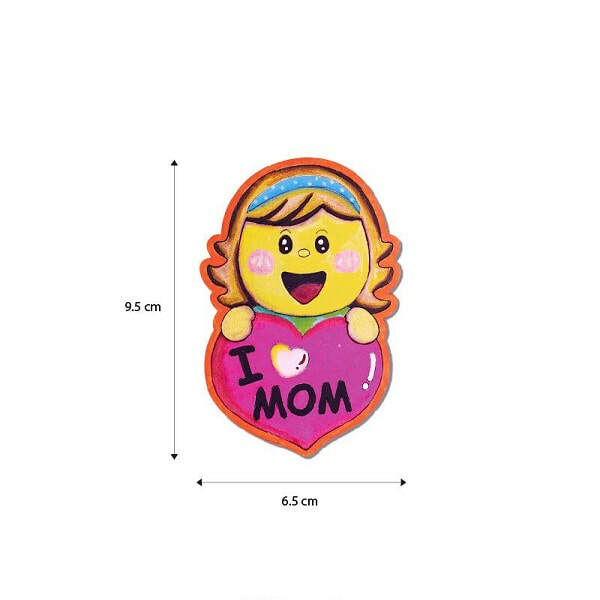 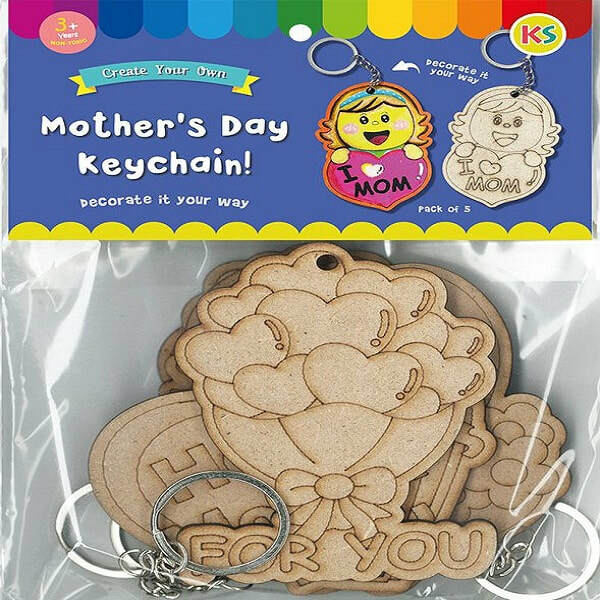 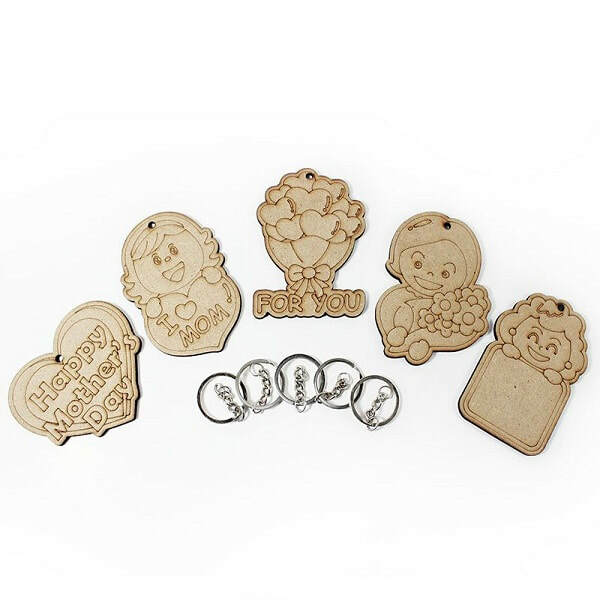 Bring smiles to mummy with your hand coloured Mother's Day MDF trinkets! 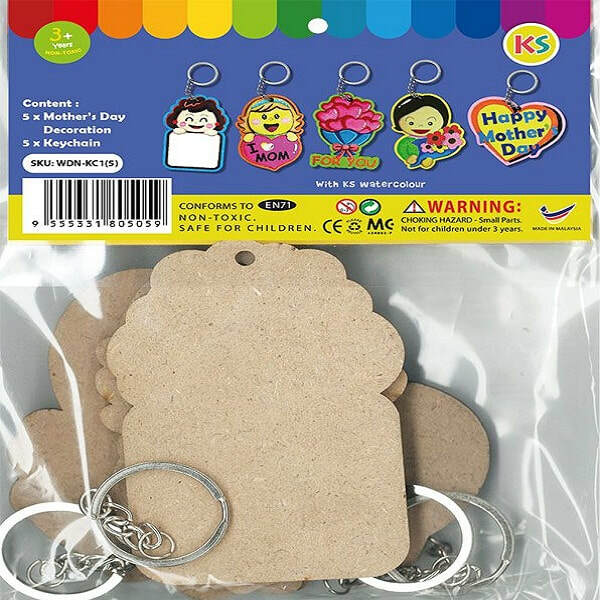 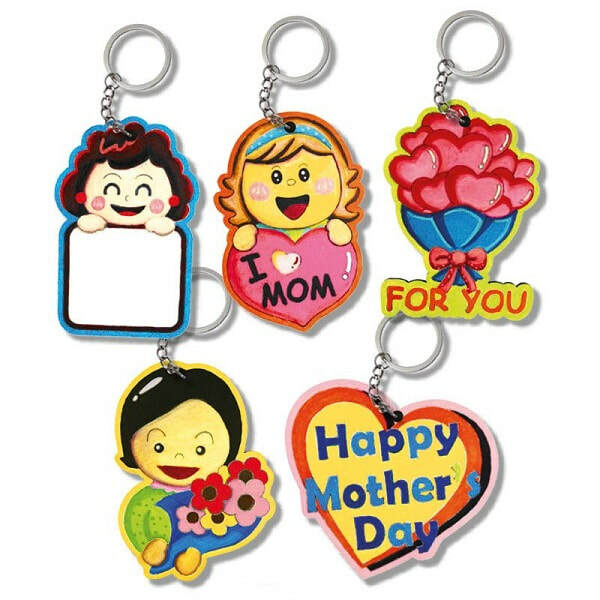 They come in 5 adorable assorted designs and with key rings so you just have to hang to decorate. You may paint with KS colour paints or colour with KS marker pens. 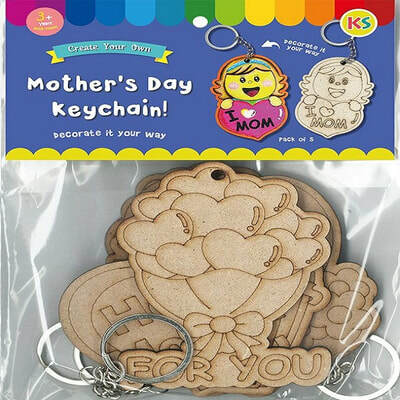 Perfect for Mother's Day celebration, craft classes and lessons, parties and events.